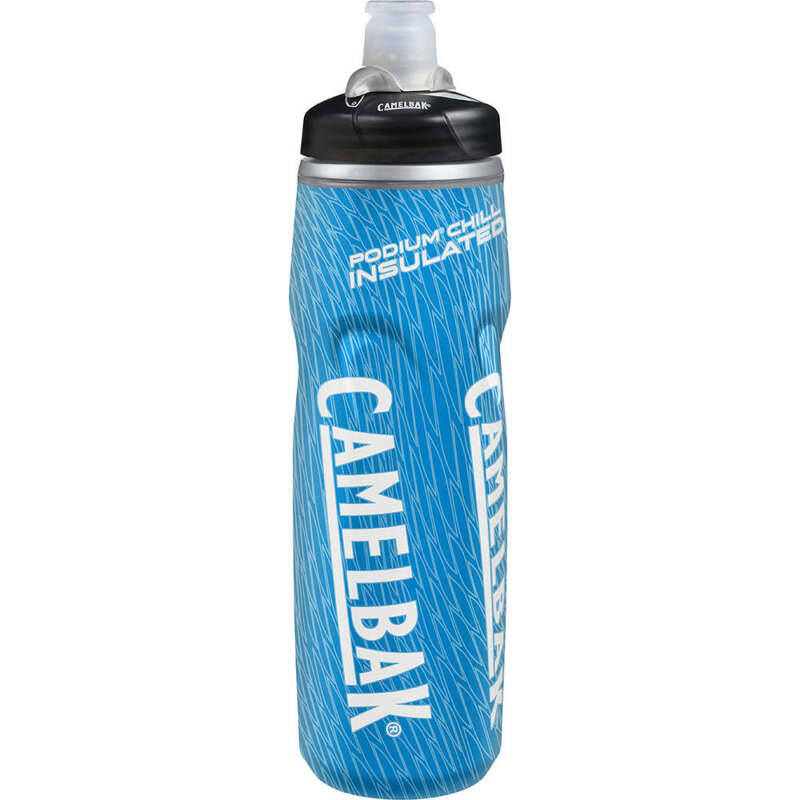 Not just your average sports bottle, CamelBak?? ?s insulated, leak-proof double-wall design makes use of closed-cell foam technology to ensure any water inside stays colder for twice as long. Its innovative Jet Valve™ lets you drink immediately – no twisting to get in the way or slow you down – while a squeezable, streamlined ergonomic shape feels just right whenever you hold it. Adding to its high-performance concept, its aperture delivers superior flow and, when you?? ?re done, cleans without any complications. Volume Range: Less than 1 qt. Volume (fluid ounces): 25 oz.